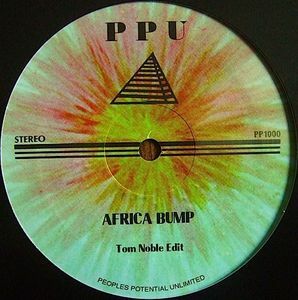 A great limited 12" just right for the xmas party season is from Tom Noble reknown disco/soul/funk/j-pop re-editer. This tight little track is brought to us by the Peoples Potential Unlimited record label, containing two great edits. Apparently its an unreleased record by obscure mexican group called "Grupo Santa Cecilia"...wicked!